NHJ is using Smore newsletters to spread the word online. Patrick’s father, John Henry, was a Scottish immigrant who moved to Hanover County, Virginia around the 1720s. John married Sarah Winston Syme. Sarah, who had interest in Presbyterianism, along with Patrick, paid frequent visits to Presbyterian minister Samuel Davis; constant exposure to Davis’s speeches taught him the importance of religious liberty and how to influence people with effective oratory skills. Furthermore, Patrick received an education from his father. His family indirectly helped him to become a successful lawyer, rhetorician, and politician. He believed in Republicanism, which emphasized “political liberty” and “unalienable rights”. With his firm adherence to Republicanism, he actively fought for independence. 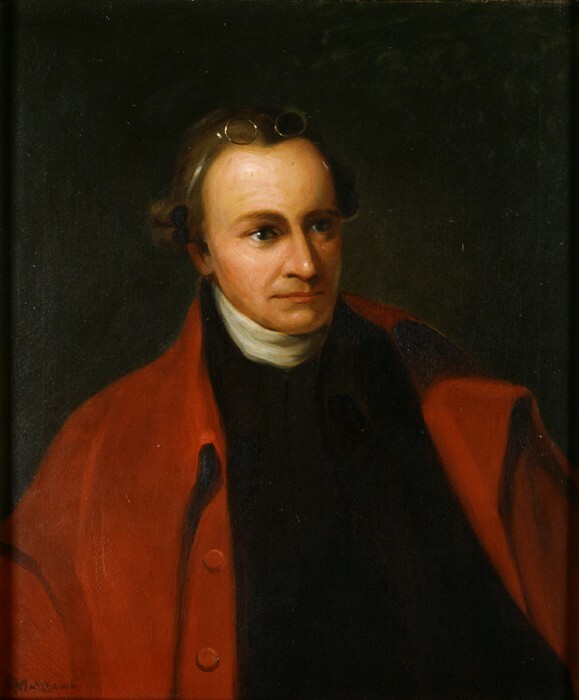 After the Revolution, as an Anti-Federalist leader in Virginia, Patrick Henry strongly advocated the Anti-Federalist beliefs, which was against concentration of power on single central government. He was opposed to the ratification of the U.S. Constitution which supported strong central federal government. Henry was worried that national government may exercise tyrannical control over the people as demonstrated by the British. He firmly argued for more state’s sovereignty and restraint on national government’s power. However, by 1798, he supported for the Federalists, strongly arguing that the Kentucky and Virginia Resolutions (states that have the right to declare Congressional decisions unconstitutional if not written on the constitution) cannot be approved. His primary source of fear was that giving too much right to individual states may lead to social unrest that could then lead to the breakdown of the nation. 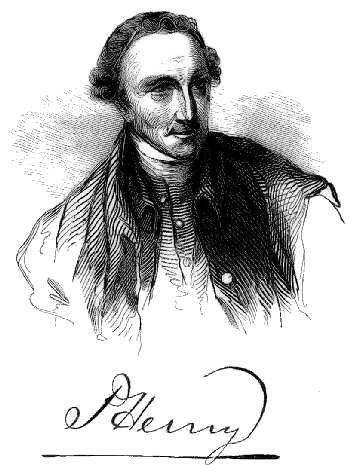 After becoming a lawyer, Patrick Henry was elected to the Virginia House of Burgesses. There, he was one of the early campaigners for colonial independence. In 1765, he introduced resolutions to the unpopular Stamp Act, which imposed tax on any printed papers. While many called his actions treasonous, Henry raised support for the colonial independence movement. Later, in 1773, he worked to establish committees of correspondence within the colonies. With the establishment of the Continental Congress in 1774, Patrick Henry became known as an important advocate for American independence. During the momentum of the American Revolution, Henry was a staunch supporter of the right to bear arms. 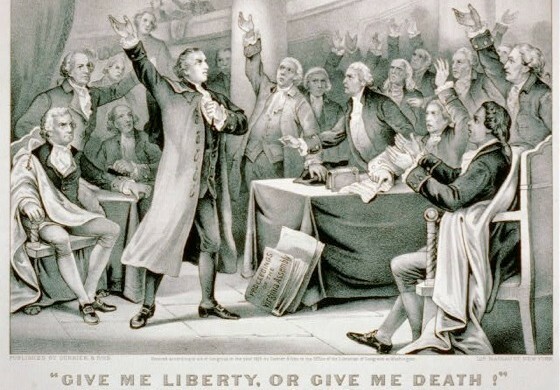 In 1775, in a speech to the House of Burgesses, he ended with, "I know not what course others may take; but as for me, give me liberty or give me death!” This is one of the most memorable moments of the Revolutionary War and his cries were echoed throughout the colonies. Later in 1775, Henry was appointed leader of a Virginia militia. In April 1775, the Governor of Virginia, Lord Dunmore, ordered to remove gunpowder from the Williamsburg magazine. Patrick Henry and his militia organized in defense and forced Lord Dunmore to pay for the gunpowder. This event, later called the Gunpowder Incident, marks the beginning of the American Revolution in Virginia. Later that year, Henry took part in the creation of the Virginia Declaration of Rights, which later influenced the Declaration of Independence and the Bill of Rights. In 1776, Patrick Henry became the Governor of Virginia, marking the first governor of Virginia not in alignment with England. After his serving as governor until 1779, Henry joined the Virginia Assembly. In his later career, he served as governor again and helped develop the Bill of Rights. He retired in 1794 and died in 1799, living on as an American hero. Integrity is the firm adherence to a code of especially moral or artistic values. Patrick Henry was a tenacious man who always spoke on behalf of his beliefs. His persistency in his point of view of politics illustrates his adherence to his moral code. For example, Patrick Henry never adhered to the British government due to its tyrannical method of ruling. This mindset of not accepting power to the central government was also present in the signing of the constitution. Throughout the writing of the constitution, he strongly opposed its principles, which gave the President veto power that could overturn the decisions of the people, leading to his opposition of the constitution to be passed, for he believed that these principles would lead to corruption due to the amount of power the central government would posses. His morals lead him to believe that giving power to the central government would lead the new nation to corruption and that giving the people the power would lead to freedom. Another example could be his input to the Bill of Rights. During the writing of the Bill of Rights, he made many contributions in order to help the people gain their right to freedom. His addition and oppositions to the ideas given in the Bill of Rights exemplify his want to help the people, which shows his faithfulness to his moral code. Citizenship is the quality of an individual's response to membership in a community. Patrick Henry was actively involved in the politics of the new, rising nation. He was one of the influential leader that led the radical opposition against the British government and the man that helped in the writing of the constitution. His sense of citizenship is found in many of his actions. The fact that he made major contributions to the writing of the Constitution exemplifies his response to his membership. Another event in which his loyalty to his nation is shown was during the Continental Congress in Philadelphia on September 1774. The particular quote from his argument, “I am not a Virginian, but an American.” displays his strong sense of citizenship and his adherence. One of his bolder responses to his membership in his community was his involvement in the Virginia Militia. He responded in accordance to Virginia to protect material from the British. His strong sense of citizenship was shown in every decision and action he made. "16b. Antifederalists." Antifederalists [ushistory.org]. Independence Hall Association, 2013. Web. 28 Aug. 2013. <http://www.ushistory.org/us/16b.asp>. "History.org: The Colonial Williamsburg Foundation's Official History and Citizenship Website." Patrick Henry : The Colonial Williamsburg Official History & Citizenship Site. Colonial Williamsburg, 2013. Web. 28 Aug. 2013. <http://www.history.org/almanack/people/bios/biohen.cfm>. "History.org: The Colonial Williamsburg Foundation's Official History and Citizenship Website." Colonial Williamsburg ENewsletter, May 2, 2011 : The Colonial Williamsburg Official History & Citizenship Site. Colonial Williamsburg, 2013. Web. 28 Aug. 2013. <http://www.history.org/history/teaching/enewsletter/archives/enews0511.cfm>. "Kentucky and Virginia Resolutions." Kentucky and Virginia Resolutions. Princeton University, n.d. Web. 28 Aug. 2013. <https://www.princeton.edu/~achaney/tmve/wiki100k/docs/Kentucky_and_Virginia_Resolutions.html>. Lovett, Frank, Lovett,. "Republicanism." Stanford University. Stanford University, 19 June 2006. Web. 28 Aug. 2013. <http://plato.stanford.edu/entries/republicanism/>. "Patrick Henry Biography." Bio.com. A&E Networks Television, 2013. Web. 28 Aug. 2013. <http://www.biography.com/people/patrick-henry-9335512>. "Red Hill - Patrick Henry National Memorial." Red Hill - Patrick Henry National Memorial. N.p., n.d. Web. 28 Aug. 2013. <http://www.redhill.org/biography.html>.